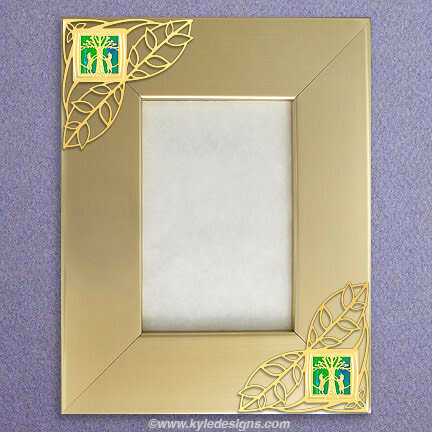 New unique photo frames at Kyle Design are just in time for this holiday season! 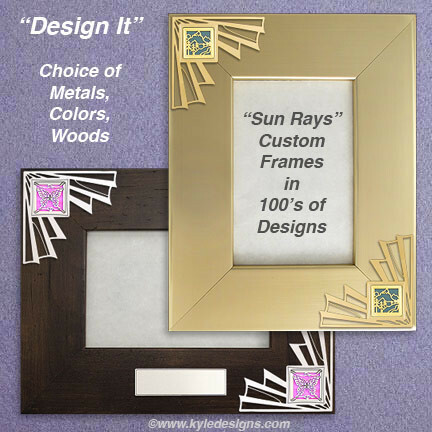 These sturdy, wooden frames come with a custom decorative metal design and there’s 6 fun colors to choose from. Just like all our other products, they are fully customizable – you can select from one of our hundreds of images and various background colors. Choose a holiday design and put out your family’s holiday photos in style. They’re also great for pictures of pets! Or, give them out to friends, family-members or co-workers this Christmas. They’re great for your parents or grandparents and come in both 4×7 and 5×7 sizes. Get yours today! If you’re looking to decorate your tree, don’t miss out on our photo frame ornaments. We also have pretty photo lockets and picture frame bookmarks if you’re needing one-of-a-kind gifts or stocking stuffers. These photo frames are sure to be appreciated by Grandma & Grandpa this holiday season!